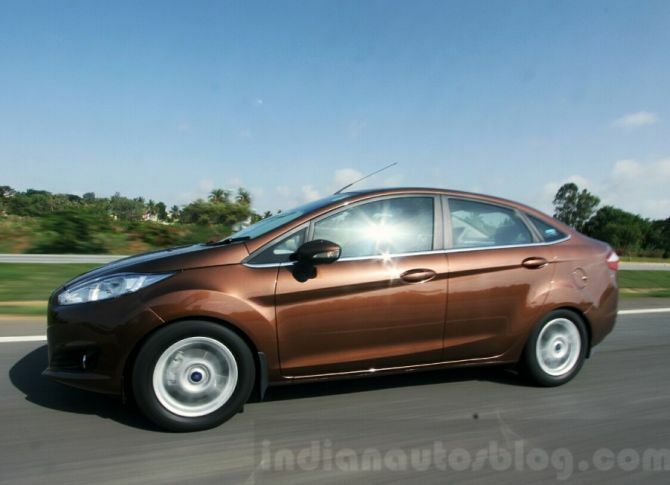 Launched in India back in 2011, the New Ford Fiesta was a sales tragedy for the company. As the years went by, and competition became stiffer, the Fiesta found it hard to lure buyers. In fact, Ford India haven’t sold a single unit of the Fiesta this calendar year, whereas Honda has sold about 7,000 Citys each month. By repositioning the car to attract only diesel buyers, and with a cosmetic refresh, Ford hopes the refreshed 2014 Fiesta will fare better than its predecessor. Here’s how it fares in our review. 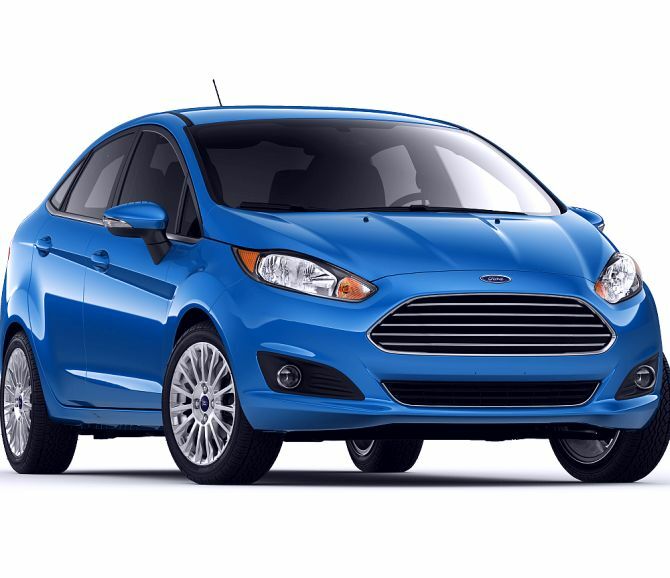 On the outside, the 2014 Fiesta is much more attractive than its predecessor. 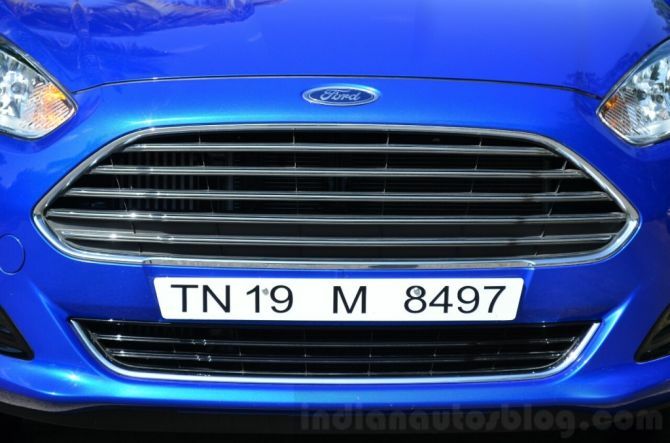 The front end brings the Aston Martin inspired grille seen in plenty of other Fords sold abroad, and the headlights are a bit slimmer and sharper looking. Towards the sides, the refreshed Fiesta now gets new 5-spoke alloy wheels, while the rear, redesigned taillights and a tweaked bumper. Also seen on the new Fiesta are two new body colours - Golden Bronze and Smoke Grey. 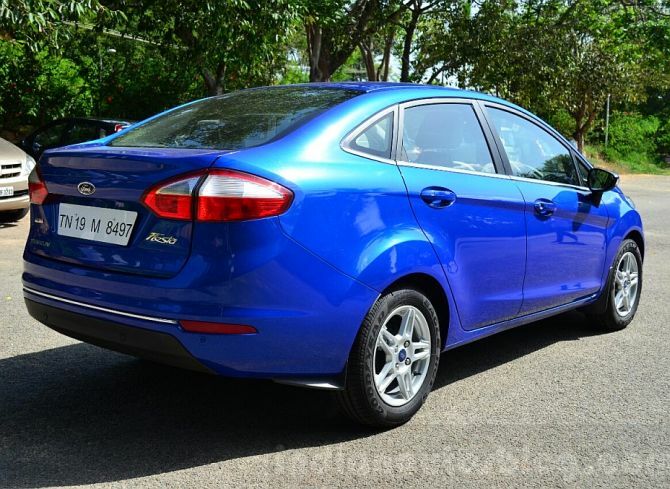 The Kinetic Blue colour, in the pictures, may not be offered to customers Ford India informs us. The refreshed Fiesta is not only a better looking car, but is also more aerodynamic than its predecessor. After spending over 150 hours in the wind tunnel, engineers have reduced the car’s drag coefficient by 3 per cent. Inside, the 2014 Fiesta gets a few updates focussing mainly on its dashboard. The centre console, which earlier featured silver inserts, comes in a glossy black shade, while the lower half of the dashboard is now finished in light beige. 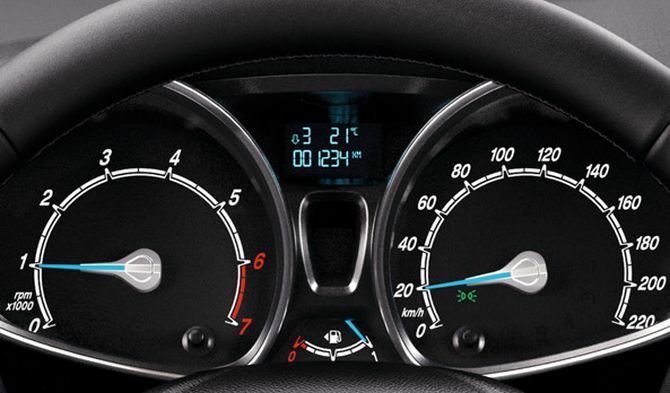 The instrument cluster gets ‘icy blue’ readouts, as does the centre screen. The beige seats and door fabrics lend the cabin a fresher look as compared to the all black interiors of the previous model. While the cabin may look better, the touch and build have not improved. Competitors like the Verna, Vento and City easily outpace the Fiesta in terms of quality of materials used. Also, the Fiesta is not the most spacious rear seat car. Legroom can only be described as adequate, and things could get a bit tight if the front seats were to be occupied by 6-footers. Speaking of the front, the driver’s seat is the best place to be in the new Fiesta thanks to its contoured surfaces which hold the driver snugly. 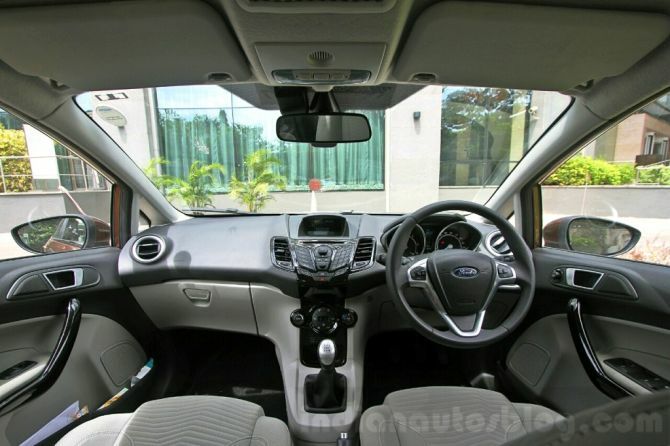 To sum it up, the 2014 Fiesta’s cabin looks fresher, but lacks the quality of its rivals. 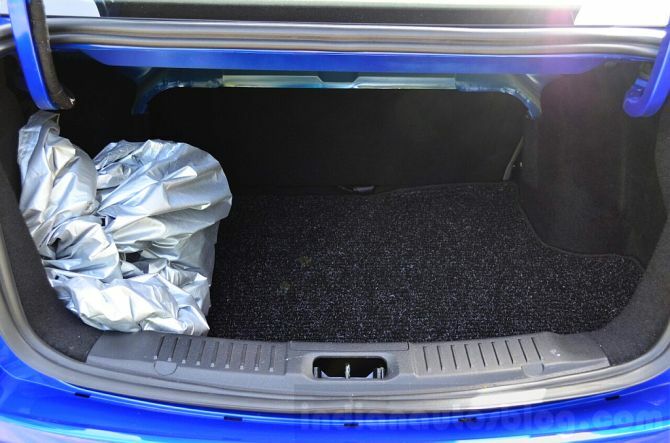 Those interested in the rear seat need to look elsewhere. The top-end 2014 Fiesta gets automatic headlights, wipers, alloy wheels, SYNC and AppLink, dual airbags, ABS and EBD, electric wing mirrors, foglights, engine starter button and keyless entry. Even the base Fiesta comes with a driver-side airbag, ABS and EBD as standard. The SYNC and AppLink system is more a marketing centrepiece than a feature. The voice recognition works almost flawlessly, though we don’t imagine owners to be patient enough to wait for the audio prompt of the system. As for the AppLink feature, currently, the ecosystem consists of only a MapMyIndia app and a CricInfo app. The system is still in its native stage, and we don’t think Indian customers are going to be amused by it yet. 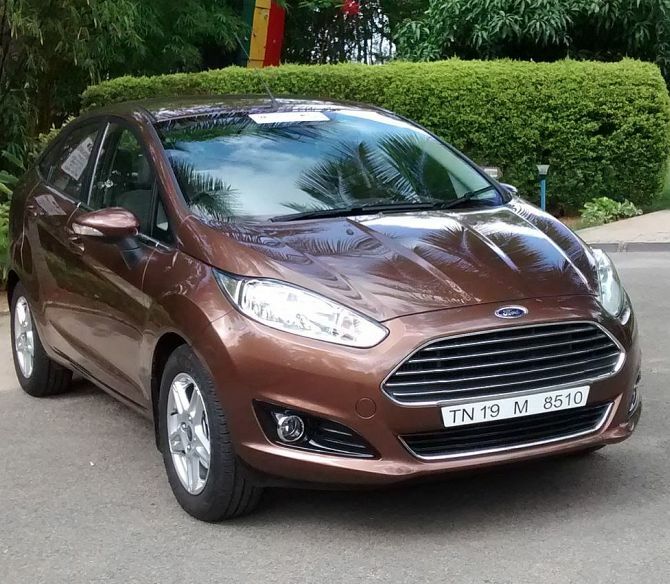 The refreshed Fiesta will be offered only with a diesel engine. 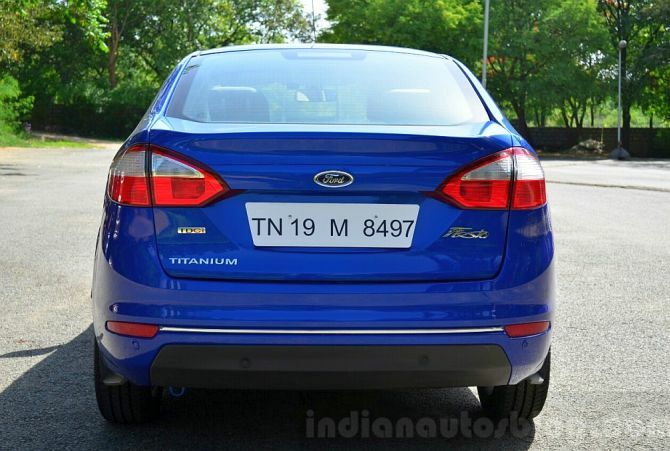 The same 1.5-litre four-cylinder TDCi unit is carried over from the pre-facelifted model and produces 91 PS and 204 Nm of torque (up from 90 PS). The recalibrated engine and reduced drag of the car improve the fuel efficiency to 25.01 kmpl (up from 23.05 kmpl), second only to the Honda City. 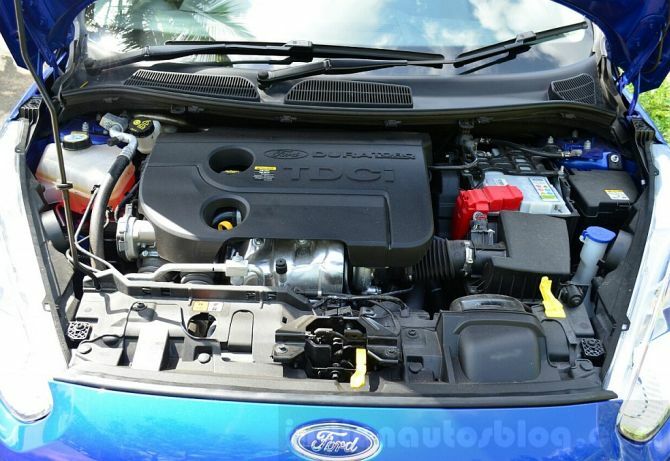 Ford’s diesel engines are not about outright power, but focus more on drivability. That pretty much sums up the characteristics of the Fiesta’s diesel motor. 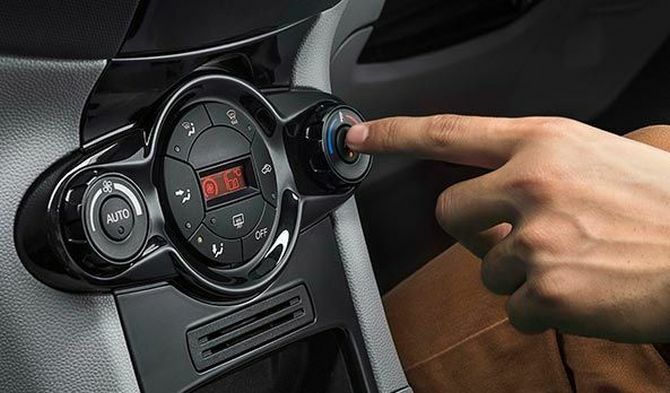 You may not be thrust back into your seat while accelerating the car, but, the Fiesta can easily be driven in third gear from speeds as low as 10 kmph. There is some amount of turbolag to be found below 2,000 rpm, but even when the Fiesta is off boost, it is possible to get a move on without the need to downshift a gear. Once the turbo kicks in, the Fiesta builds pace quickly, but not as quick as the Verna or the Vento/Rapid. The spec sheet has the answer to why - the Fiesta makes 204 Nm of torque as compared to the Verna’s 265 Nm and the Vento’s 250 Nm. The Fiesta is best driven when the engine is constantly kept on the boil (between 2,000-4,000 rpm). Coming to the gearbox, the 5-speed manual works perfectly and the gear lever feels positive to use. The clutch travel on the Fiesta is one of the shortest in its segment which only enables in faster gear changes. Ford engineers have struck the right balance between ride and handling. The ride quality, though not as good as the Sunny, feels rather comfortable even over bad stretches of roads. However, more attention is paid to the handling of the car as the sedan is all about handling and driving finesse. The chassis of the Fiesta especially, is fine tuned for twisty roads and compels you to drive in a sporty manner. The more you push the car through the bends, the more you realise its fantastic grip levels. Even when taking corners at triple digit speeds, the Fiesta’s tyres did not protest, nor did the car remotely understeer. 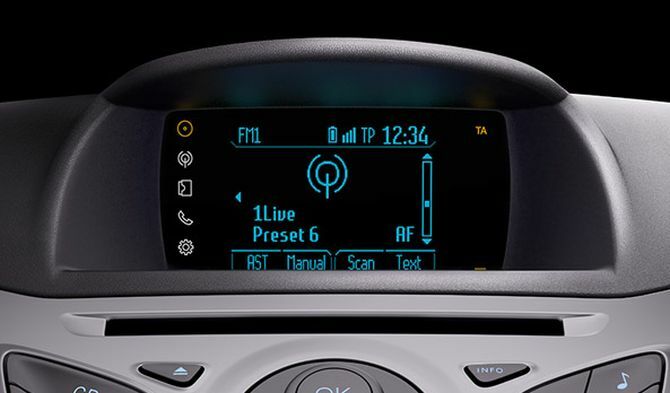 The electronic power assisted steering (EPAS) completes the driving and dynamics package of the car beautifully. Ford has probably got the steering system bang on in this segment. While the City, Verna and Vento have a light steering, the Linea’s steering is always heavy, even at parking speeds. The Fiesta’s meanwhile strikes the perfect balance by offering the lightness needed at city speeds, and the heaviness at highway speeds. The Fiesta comes equipped with front disc brakes and rear drum brakes. 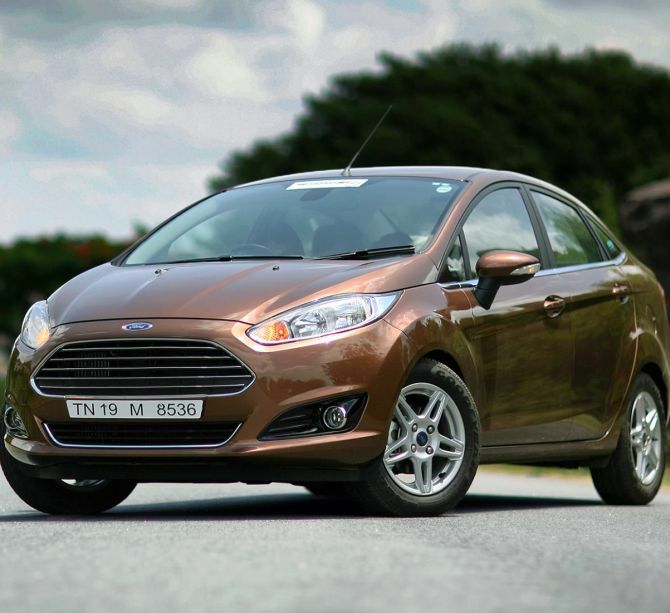 The brakes on the Fiesta have more than adequate stopping power and the brake pedal pressure gives a reassuring feel. Ford is offering a driver airbag, ABS and EBD as part of the standard kit, while the top-end variant gets a passenger airbag along with Ford’s Emergency Assistance System. The system, which dials emergency services, can save a few precious moments should you’ve an unfortunate accident. 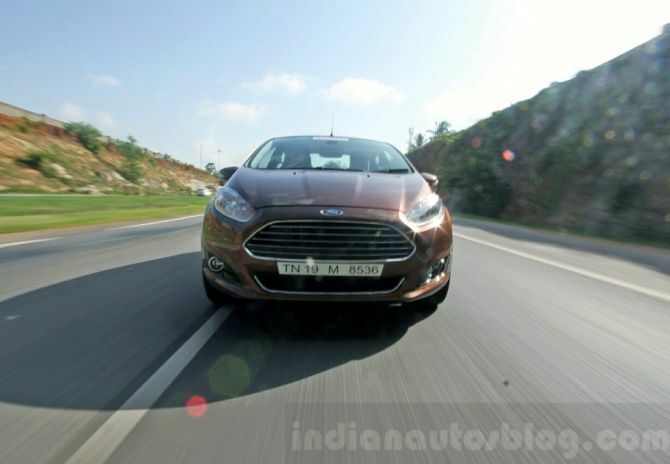 Ford claims an ARAI rated 25.01 kmpl for the Fiesta. Under normal driving conditions in city traffic with a bit of highway roads, the Fiesta managed an impressive 18.1 kmpl, while a bit of spirited driving saw it return nearly 17 kmpl. The pre-facelifted Fiesta did not figure in the buying list of any C-Segment prospect, so Fiesta facelift has to start from scratch. Here are the negatives of the Fiesta first. 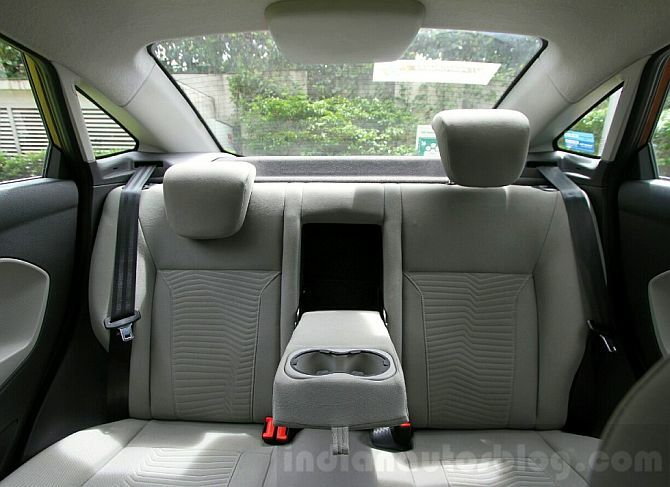 The sedan is neither spacious inside nor the interiors feel premium or well built as compared to the Honda City - the current benchmark in the segment. Moreover the engine performance is not as enthusiastic as the Hyundai Verna or the VW Vento. The Fiesta’s weaknesses fly away when you come up to a corner. The car undeniably outshines anything you’ve ever driven for its price, and emerges as the driver’s car in the group. The steering and chassis respond outstandingly to your inputs and you no longer care about the poorly fitting door handle or the reply from the voice recognition. Priced at Rs 769,000 - 929,000 (ex-showroom Delhi), the refreshed Fiesta undercuts all its competitors, and can no longer be ignored by its target customer. Where the Fiesta lacks, it makes up for in driving dynamics, and now surprisingly, with its price!